System-Wide Equaliser/Plugin Host For Your Mac! 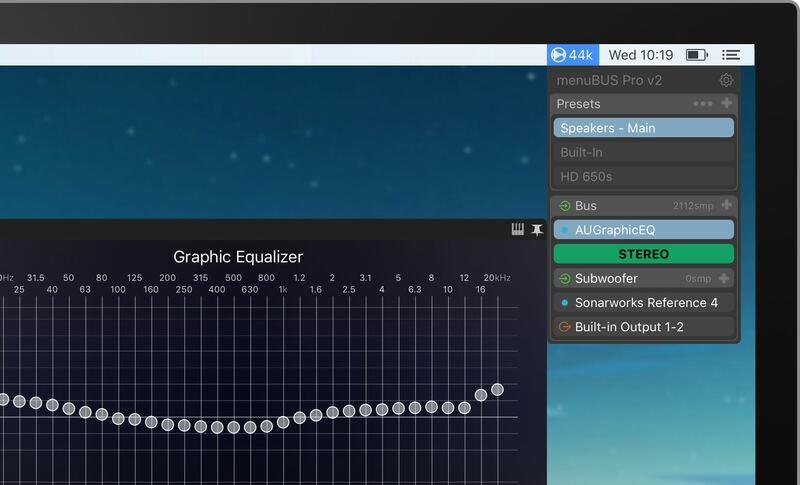 menuBUS is a lightweight menu bar application designed to capture all system audio, host realtime AudioUnit effects, and pass the processed audio to your choice of output. Until now applying effects to the system audio has involved the use of multiple apps, audio drivers and aggregate devices, and in the case of paid apps that can solve this problem (many of which are fantastic applications) the user is still left with a lot of prep work and time spent managing another apps clutter. Now, with menuBUS you can do away with all that overhead!